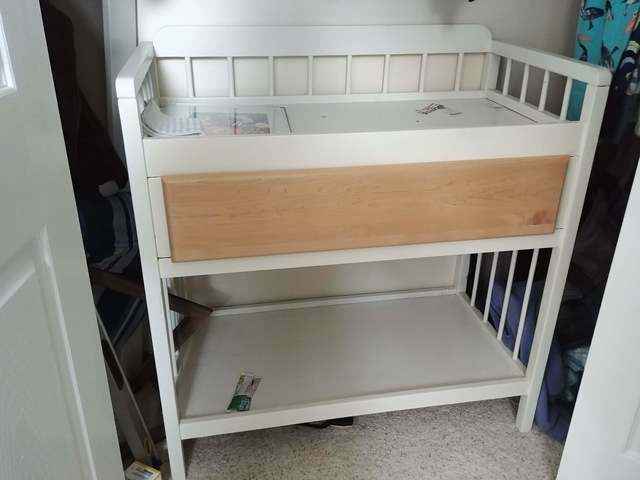 Wooden baby change table with lots of room for storage, including a drawer directly underneath for everything you need for diaper changes. Stick a change pad on top for your kiddo's comfort. Perfect height for changing!